Foo Fighters have reported that they’ve had to postpone two shows after an injury to one of the band. They were due to open the Fillmore in New Orleans on February 15 and 16, but they’ve now been forced to move the performances to May. 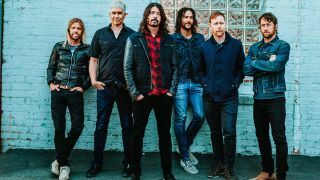 A statement from the band reads: “Due to a band member injury, Foo Fighters have been forced to reschedule their February 15-16 opening weekend at the Fillmore in New Orleans. The Foos played a Super Bowl pre-show concert on Saturday night in Atlanta. They were joined onstage by artists including Tom Morello, Queen’s Roger Taylor and Jane’s Addiction frontman Perry Farrell.